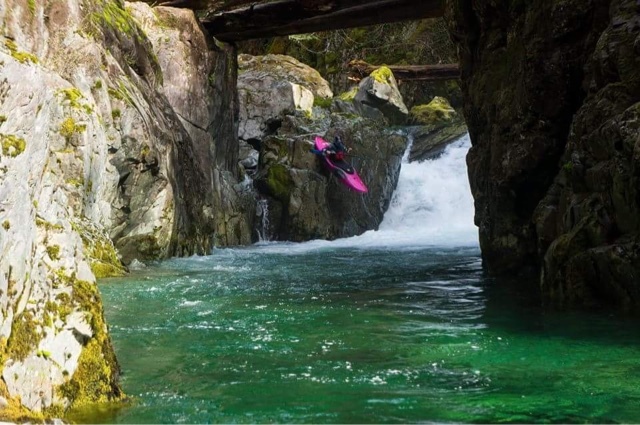 A GEM CALLED OPAL CREEK ~ It might be the best PNW classic you’ve neverheard of. 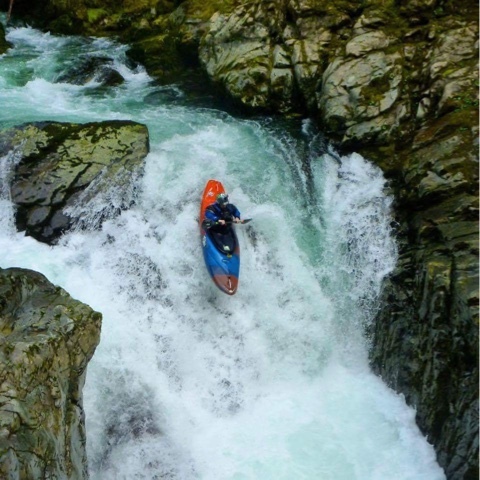 by Clinton Begley | DBP MAGAZINE ONLINE The World's Best Free Whitewater Publication. 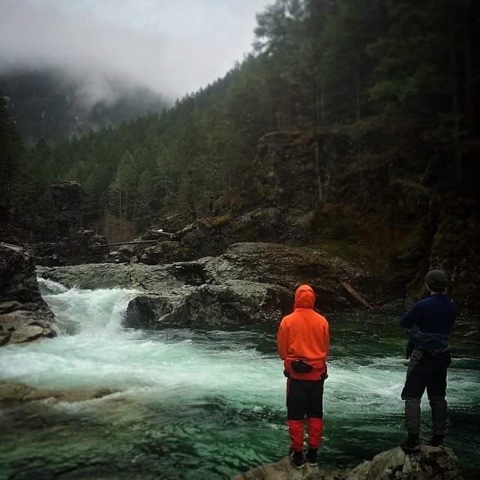 With its headwaters deep in the Opal Creek Wilderness, the Little North Santiam River is better known by almost everyone simply as “Opal Creek.” Its eponymous headwaters tributary joins Battleaxe Creek to form this pristine Oregon classic. 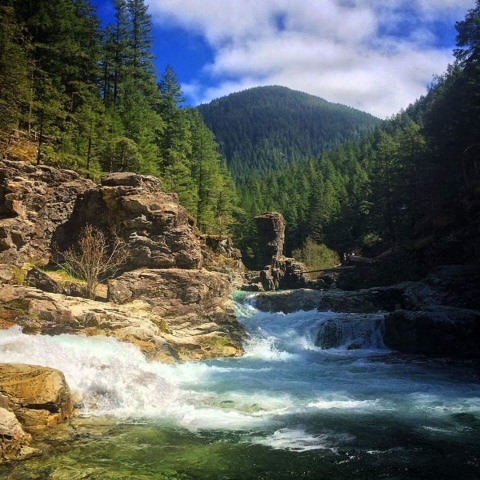 The water here is typically referred to as “gin-clear,” a description that captures both the water’s high quality, and the run’s ever present pinaceous aroma as it gurgles through Oregon’s last low elevation old growth conifer forest. Designated as wilderness in 1996, the 20,454 acre wilderness area was just barely saved from extensive clearcutting. At the time of designation, the markers designating the area to be cut had already been in place for over 15 years. 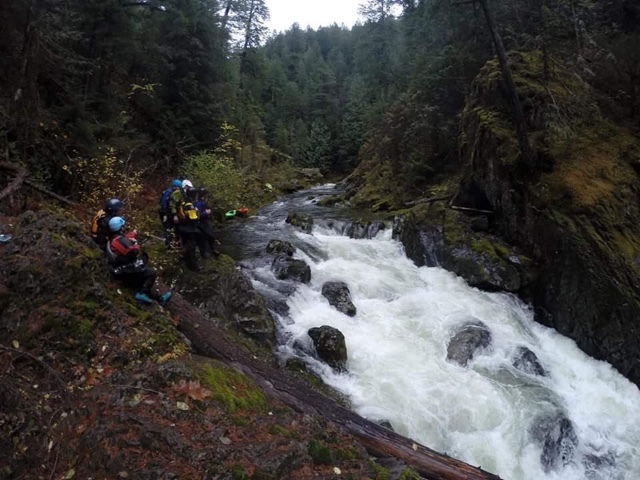 Legal challenges by local citizens and environmental groups paused and eventually stopped the timber sale, an action that would have almost certainly have relegated it to “just another” pretty west slope Oregon creek. Pretty-but-impacted water quality, and views of patchwork regrowth and monocultures of Douglas-fir are a common scene from Oregon’s Western Cascade rivers. 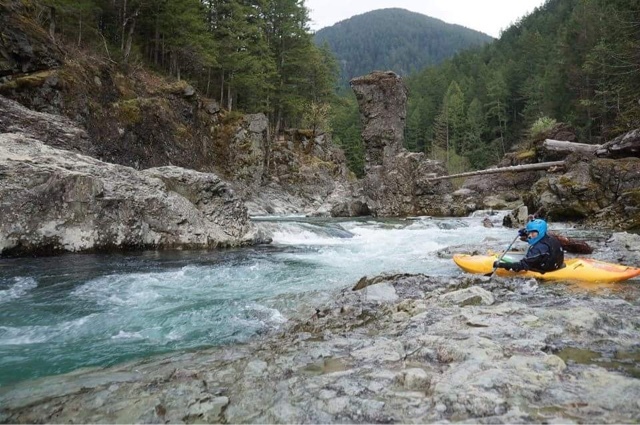 Thankfully, class IV paddlers can now float through 500 to 1000 year old stands of protected Douglas-fir, Pacific silver fir, western redcedar, and western hemlock old growth. 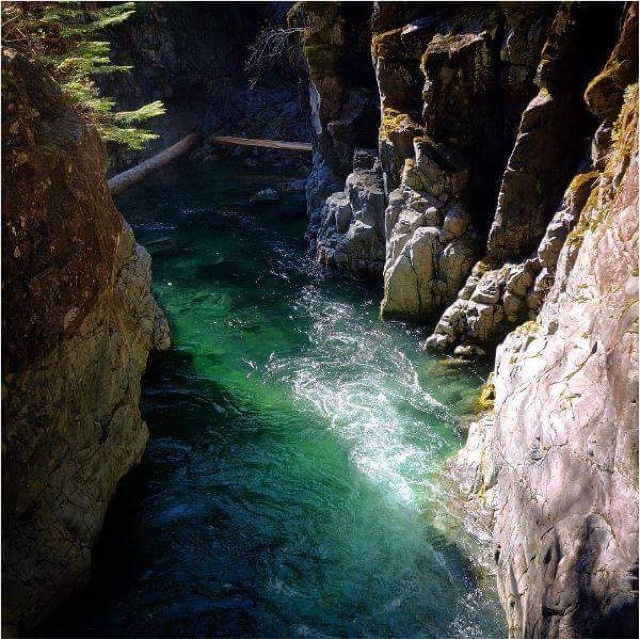 These clear blue-green waters await you at the Three Pools takeout just below the final drop. The Little North Santiam (again, no one calls it that), has three commonly-run sections with “Classic Opal” in the middle. 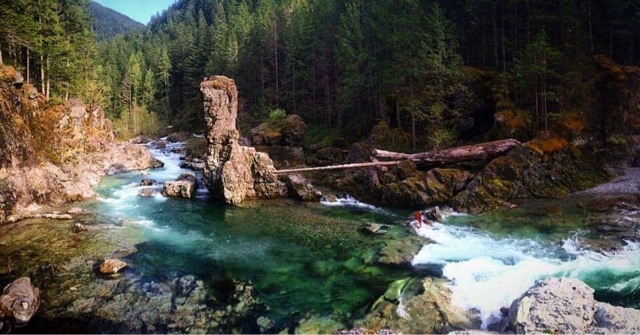 From the end of the Little North Santiam Road that terminates at a trailhead for the Ancient Forest Center upstream, a little less than a mile hike will get you to the Gold Mine. The appropriately named put-in location features remnants from old mining claims, and also represents a veritable goldmine of whitewater awaiting you just downstream. Another 2-3 miles of hiking will get you to the put-in of Upper Opal, a half-step up in difficulty from the classic stretch. Below the takeout at Three-Pools for Classic Opal, awaits Opal Gorge, the bottom section that is a full step-up in difficulty from the Classic Opal stretch. The Gorge features one mandatory portage, and the “Un-Un” or “Undertaker”, an un-scoutable and un-portagable drop that looks harder than it is, but still harder than you might like for bearing such a name. Opal Gorge ends at Salmon Falls, a pair of cracks in a 20-25’ river-wide basalt ledge. Salmon Falls at the exit of the lower Opal Gorge section. The first time I ran Classic Opal, the flow nearly doubled on us while on the river from 600 to just under 1200 cfs; the change was only somewhat noticeable. I’ve run it down to 350 cfs, and it’s been run in excess of 5000 cfs. With a wide range of runnable flows, and location several hundred feet below and well out of view of any road, Classic Opal is one of the easiest and most accessible ways to get your “wilderness run” fix. Although it feels very isolated, access is pretty straight forward and it’s not uncommon for this to be a staple throughout the winter months (provided you have 4WD to get through the snow to the put-in). Access is possible year round, with the right equipment. 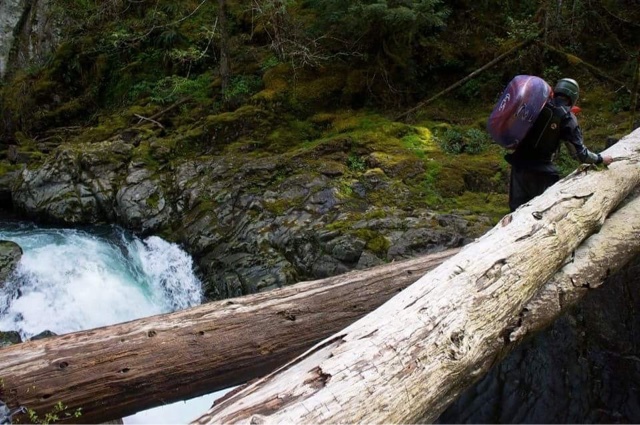 Aaron Zettler-Mann sends a typical unnamed ledge on Opal Creek. Most of the stretch is read-n-run class III+ and IV through moderate boulder gardens and fun ledge drops set amid mini-gorges. Waterfalls cascade in from all sides, and you have a constant, crystal-clear, view of the river bottom. Three notable named rapids, in order of appearance, are Big Ugly, Big Fluffy, and Thor’s Playroom. 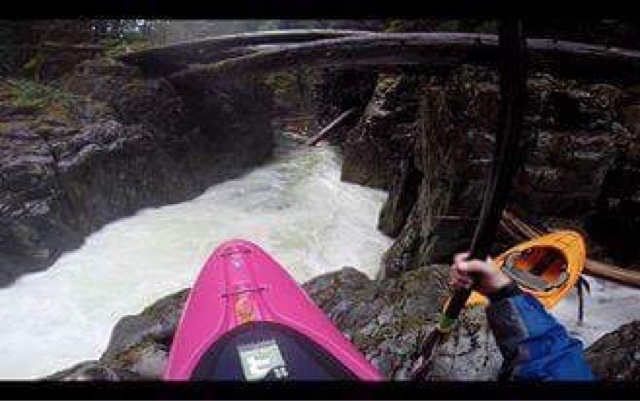 Paddlers Scout Big Ugly, the first of three major named rapids, at a healthy medium flow. Big Ugly is a short but steep boulder jumble that has lines right or left. The more-typical left line puts paddlers in a slot uncomfortably close to what looks like an undercut left pocket, but I’ve never seen anyone have major problems here. Scout and Portage on the right. The Author sends Big Fluffy at Low-Medium Flows. Click for a short POV Clip of this descent including the technical lead-in. Karan Estee takes the right-line seal launch at healthy flows on Big Fluffy. Big Fluffy runs-out into calm clear waters with a small beach for recovering gear on river right. The portage is on river right off a sketchy seal-launch, or on river left after a high-wire act across the suspended logs. Under 1,000 cfs it’s easiest just to run the damn thing. 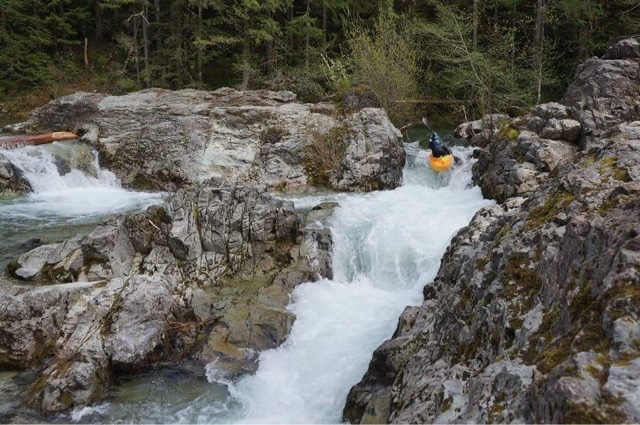 DBP Co-founder Jason Flannery takes the high-road portage around Big Fluffy. Calm recovery and contemplation awaits you below Big Fluffy. Vaclav Kuna seal launches into the emerald waters below Big Fluffy. Thor’s Playroom is known by most non-kayakers as “Three Pools” and is a popular swimming hole in the summer. In the winter, when flows are up, it is a long, pushy, and complex set of rapids in the shadow of a huge stone pillar that, to even those with the dullest of imaginations, clearly resembles Mjölnir, the hammer of Thor. Thomas Imes takes door number two at the entry to Thor’s Playroom. The middle door is the most commonly run at medium flows and below; at higher water routes on the left and right open up. Thomas Imes peels out below Mjölnir, the hammer of Thor, in Thor’s Playroom at Low Flows. However impressive the feature, at all but the lowest of flows your attention should be focused downstream as a series of holes and ledges to punch and boof await you. Whether you’ve stuck your boof or rolled up in the final pool, you’re guaranteed to be awestruck at the otherworldly beauty of this incredible place. 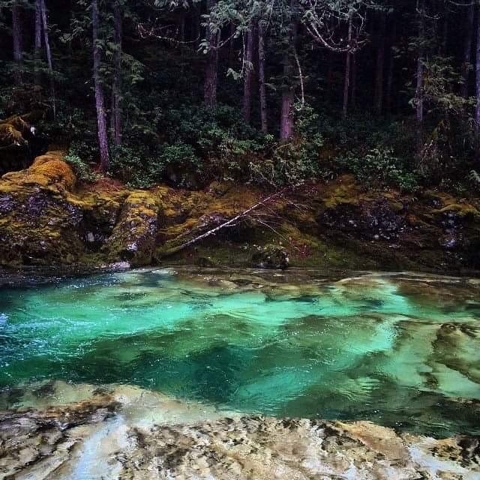 If you’re there when flows are prime, I put money on quintessential Oregon mist hanging over the old growth forest as you stare up from a blue-green pool surrounded by its fern-hemmed banks. 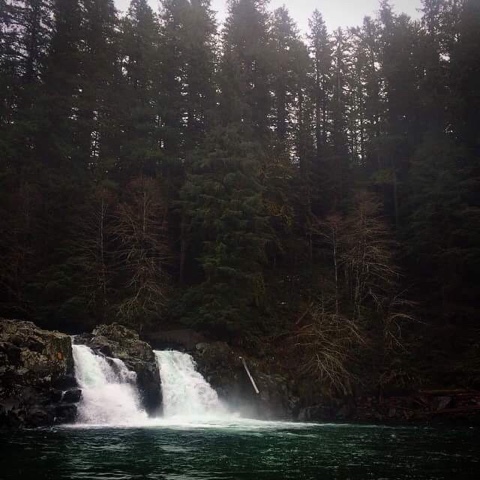 Classic PNW kayaking scene; mist over blue-green waters. Brooks McKee and Zach Levine giving it a look before running shuttle. 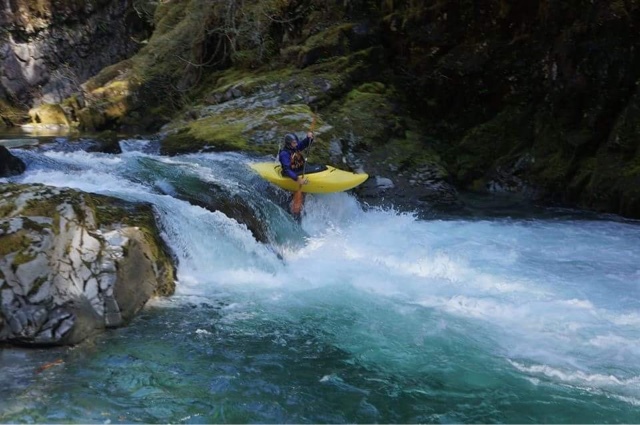 Despite being a household name among Oregon paddlers, it doesn’t quite reach the notoriety of other PNW classics like the Rogue, Mckenzie, Deschutes, White Salmon, or Little White Salmon. 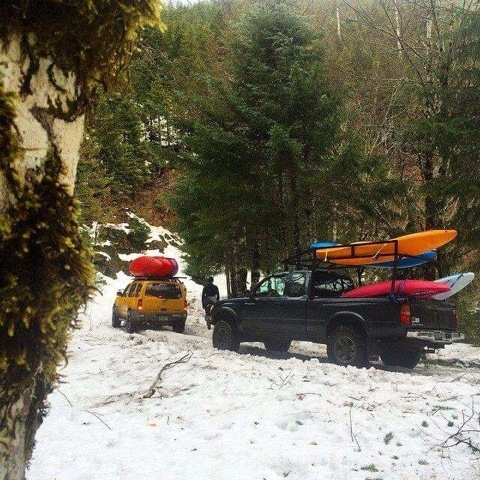 But Opal should certainly be on the list of anyone visiting Oregon with a boat in the winter months. 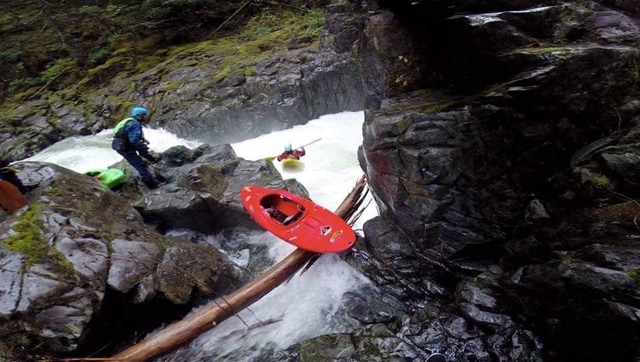 Postscript: An exceptional resource for PNW paddlers is Jacob Cruser’s blog, Into the Outside. Here you can find a trip report, additional video and photos. Jacob’s site is highly recommended for beta on area classics and obscure expedition runs alike.